Although Thailand may not have a concrete set of laws on driving under the influence, there are still laws that governs intoxication and driving. Therefore, going behind the wheel when intoxicated still puts you at risk for going behind bars. Furthermore, there has been an increase in the crackdown of drunk drivers all over the country, and the police are getting increasingly stricter when dealing with non-sober drivers. Small towns and tourist areas such as Pattaya have increased the number of checkpoints over the years due to the growing number of alcohol-related road accidents. This article will discuss what you need to know about Thailand’s DUI (Driving Under the Influence) laws, and what you should do if you get a charge for drunk driving. According to the Department of Land Transport, the law states that drivers who have had their licenses for over five years are allowed to have a Blood Alcohol Content (BAC) of 0.05% when behind the wheel, while newer drivers are only allowed to have a BAC of 0.02%. Like many other countries, this is detected via a Breathalyzer owned by the police. Violators will face either a hefty 60,000 THB fine and/or a 6-month prison sentence. Additionally, they may also get their licenses permanently revoked and be required to complete a set number of community service hours. If a driver is a Foreign National, they may also risk deportation, depending on the severity of the case. There is also a law regarding open alcohol containers inside a vehicle, both moving and stationary. If open containers are found in a vehicle, the driver may receive a charge for driving under the influence without a Breathalyzer test. Consequences include a fine of no less than 60,000 THB with mandatory community service and/or a short-term prison sentence. It is best to limit yourself to no more than a can of beer, or refrain from drinking if you know you’ll need to drive after a night out. 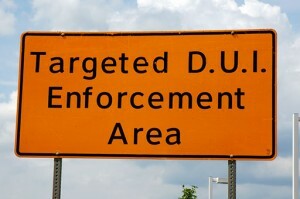 Unfortunately, some people cannot reduce the temptation and end up drinking and driving regardless, thus putting themselves at risk for getting pulled over and/or getting into an accident. First, you should not refuse the Breathalyzer. Failure to take a test may result in a charge regardless of your status. If the DUI charge resulted from an accident, check to see for any serious damages and injuries to yourself and others, so the police can arrange for an ambulance. If your test results indicate that you have exceeded the maximum blood alcohol limit, the Police will ask you for your driver’s license and a fine. They may also ask you to accompany them to the police station prior to giving you a fine. Do not fight, argue or be defensive. Aggressive behavior oftentimes comes with larger consequences and sturdier punishments. Your failure to cooperate may also be used against you in the police report. Depending on the severity of your charge, you may be given a court date and/or be asked to spend the night in jail. In this case you may be able to pay a bail of approximately 20,000 THB and wait for your court date. In severe cases, some policemen will tell you they cannot accept your bail payment due to the damages you have caused as a result of your DUI. This situation will require you to spend the night in jail. If you are a foreigner, it is also a good idea for you to contact your embassy and consulate and ask for a list of experienced attorneys who understands the law and speaks your native language. In this way, there will be no nuisances regarding the language barrier, and your voice will also be heard. Moreover, your attorney will usually be able to negotiate your position for you, as well as help reduce your sentence in the courtroom. Siam Legal has experienced English speaking Thai criminal attorneys to assist you.